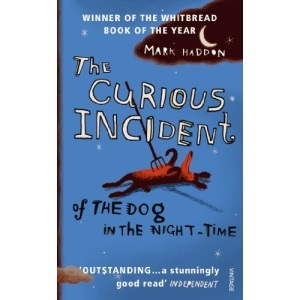 Winner of the Whitbread Book of the Year 'Outstanding...a stunningly good read' Observer 'Mark Haddon's portrayal of an emotionally dissociated mind is a superb achievement...Wise and bleakly funny' Ian McEwan The Curious Incident of the Dog in the Night-Time is a murder mystery novel like no other. The detective, and narrator, is Christopher Boone. Christopher is fifteen and has Asperger's Syndrome. He knows a very great deal about maths and very little about human beings. He loves lists, patterns and the truth. He hates the colours yellow and brown and being touched. He has never gone further than the end of the road on his own, but when he finds a neighbour's dog murdered he sets out on a terrifying journey which will turn his whole world upside down. Prizes: Winner of Booktrust Teenage Prize 2003. Shortlisted for Whitbread Prize (Novel) 2003 and Guardian Children's Fiction Prize 2003.